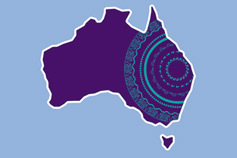 Connecting Indigenous and Corporate Australia to enhance social and economic outcomes. Our second Census Insight report explores the opportunities for Australia's growing Indigenous business community. This episode of The Next 5 Years discusses with Indigenous business leaders the opportunities and barriers to growing indigenous business in Australia. Read how Arrilla helps Microsoft Australia to confidently engage with Indigenous businesses. 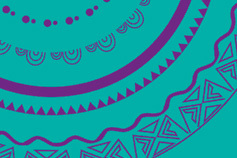 KPMG Indigenous Services seeks to improve Indigenous social and economic development through connecting Indigenous businesses with the corporate and public sectors in Australia. We believe that working in partnership with Indigenous Australia, government and corporate organisations, is the best way to bring about shared aspirations, prosperity and cultural respect. Our approach is to balance constructive advice with a cultural focus to create lasting outcomes. Support to build Indigenous businesses – building the internal capability and capacity of Indigenous businesses to help them to thrive. Support and advise the public sector and corporates to help meet their Indigenous Procurement Policy and Reconciliation Action Plan targets. Advising and delivering on Indigenous projects – project development and delivery support related to land assets and support for developing partnerships and JVs. Provide Indigenous Cultural Competency Training to develop culturally competent teams and workplaces through our joint venture with Arrilla. Exploring the correlation between education and better outcomes for Indigenous people. This report presents a collaboration of ideas focused on the economic development of Indigenous Australia. Catherine leads development and execution of KPMG’s social and environmental initiatives.